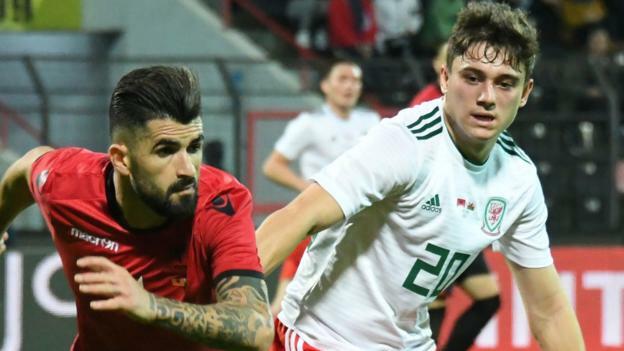 Wales Football News - Fri 1 Feb 19. Dan James disappointed [ hitc ]. Swansea statement on Dan James [ hitc ]. No attempt to keep Dan James [ bbc ]. Ben Davies remains out for Spurs [ tottenhamhotspur ]. David Brooks looking to build on blistering form [ bournemouthecho ]. David Brooks ideal summer signing [ manchestereveningnews ]. Gareth Bale never wanted transfer away from Real Madrid [ independent ]. Sam Vokes delight at Stoke move [ stokecityfc ]. Joe Ledley leaves Derby [ dcfc ]. Joe Ledley message to fans [ derbytelegraph ]. Andy King Derby loan [ dcfc ]. Ched Evans subject to late loan offer [ dailymail ]. Emyr Huws doing ok [ twtd ]. Aron Davies Maidstone loan [ maidstoneunited ].